Performing together, these two popular artistes have appeared throughout Scotland and the north of England. at the Edinburgh Festival Fringe — where their concerts have become an annual success, and have broadcast on BBC Radio Scotland. Radio 2 and Classic FM. These tunes are, respectively, a march, strathspey and reel, all by the famous Aberdeenshire fiddler and composer, James Scott Skinner. His friend, Forbes Morrison, was a fellow fiddler and dancing master. The left-handed fiddler was George Taylor of Aberdeen. A Rosebud By My Early Walk was written by Robert Burns for twelve-year old Jeany Cruikshank, daughter of his friend, William, who was a master at Edinburgh’s High School. She was a skilled young musician, singing his own songs to the poet, accompanying herself ably on the spinet and she was also proficient on the violin. Because of her beauty, the poet calls her ‘a rosebud’ in the first verse and, because of her lovely singing, ‘a linnet’ or singing bird in the second. The tune used in this recording is ‘The Shepherd’s Wife’. Low Down In The Broom is a fiddle tune which has become associated with Burns’ fine poem ‘A Red, Red Rose’. My Love She’s But A Lossie Yet is another fine tune for which Burns wrote words lamenting the ‘youth’ of whisky not yet mature enough to be drunk! Lady Nairne was born Carolina Oliphant in the House of Gask in Perthshire in 1766. There she spent a very happy childhood, frequently hearing tales of the Rising of 1745 and the part played by her family. The Prince was given shelter by her grandparents in the House of Gask after his defeat at Culloden and her grandmother, with the Prince’s permission, cut a lock of his ‘lang yellow hair’, which became a family heirloom. This incident is described in the second verse of the song, which she wrote on hearing that the family had moved to a newer more comfortable home and left the ‘Auld Hoose’ to become a ruin. The origin of this pentatonic tune is uncertain, but it is sometimes ascribed to Nathaniel Gow. The words of this stirring Jacobite song were written by Mrs Norman Macleod, wife of a Glasgow minister. The chorus, sung in Gaelic, means ‘I must rise and follow’. Pibroch is the complex, classical music of the Highland bagpipes. Burns became an excise officer and wrote this song as a loke at his own expense. His duties included the arrest of smugglers and the finding and destroying of illegal stills, which made him unpopular with some of his friends and drinking cronies. In the song, he imagines their delight as he is taken away by the deil (devil), leaving everyone free to drink and dance to their heart’s content. The tune, The Hempdresser, is probably English. Ballindalloch Castle is a strong, characteristic strasthspey by the composer William Marshall (1748-1833). Marshall was a self- taught mathematician and astronomer among many other attributes and his work as steward to the Duke of Gordon left him ample time to develop his talents as fiddler and composer. The Atholl & Breadalbane Gathering by W. Ferguson, is a pipe march and the following reel, Mrs Macleod of Raasay, is traditional. These words were written by the soldier/poet Thomas Traill, whilst serving as a mercenary in the army of King Gustavus Adolphus of Sweden in Germany around 1630. He sent them home to his wife. May, on the island of Westray in Orkney. There are later words by the 18th century poet, Hector Macneil and the tune is often used for the rousing ‘Ye Jacobites By Name’. The Road To The Isles: Kenneth Macleod. who collaborated with Marjory Kennedy-Fraser, in her Songs of the Hebrides, wrote the words of this tramping song in both Gaelic and English for this tune, collected on the island of Barra from the thanter-playing of Malcolm Johnson. Loch Rannach, the following slow march, and the faster Inverness Gathering are both traditional pipe tunes. This haunting traditional Gaelic song tells the story of a young girl looking out to sea in the vain hope of sighting the sail which means her lover is returning. The Arran Boat, The Haughs of Cromdale and Lard Macdonald, respectively, slow air, strathspey and reel, are all traditional. Sandwaod Bay is a beautiful remote beach in the far north-west of Scotland. 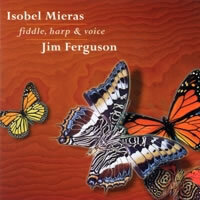 This tune is by Jim Ferguson. This version of the tune is from the collection made by Marjory Kennedy-Fraser. The Lewis Bridal Song is one of Scotland’s most popular tunes. John McMillan of Barra, by Norman Macdonald and The Brolum, by Dr Charles Bannaty, are both pipe tunes, the first being a march and the second a reel.